E About Us Learn about a cause that we truly believe in. 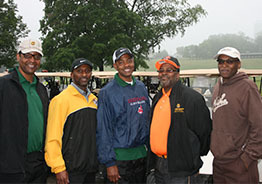 D Events Check out photos from our past golf fund raisers. 7 SponsorsCheck out some of our bigger contributors. J Donate Today Make a contribution to the future by donating today. Tobias looks on as he tries to get up and down. 7 June 2013 : Read more! 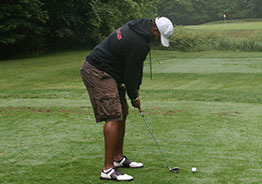 A participant lines up his putt on an unseasonably cool day. 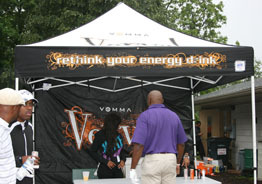 At the Vemma Verve! booth, they helped keep us all hydrated. Here's a force-some. 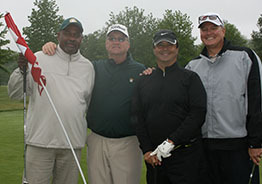 This group really enjoyed their day on the course. 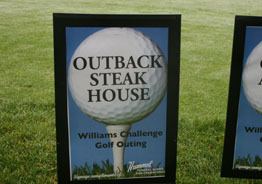 Outback Steakhouse serves lunch for all participants again in 2013. 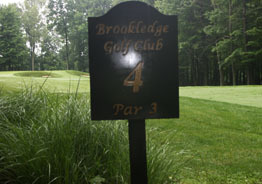 Brookledge Golf Club in Cuyahoga Falls hosts the golf event in 2013. 7 June 2013: Read more! We are dedicated to the development and advancement of our youth. Kay D. Williams was born and raised in Akron, Ohio. She and Frank D. Williams married in 1965. They would spend the next eighteen years together raising their three sons, Todd, Frank, and Tobias until her untimely death in 1983. The scholarship fund is given in the name of the late Kay D. Williams, loving wife, mother, and friend. Kay exemplified academic excellence, good will, and kindness to all who encountered her. This fund honors her and her legacy by providing for those in need. 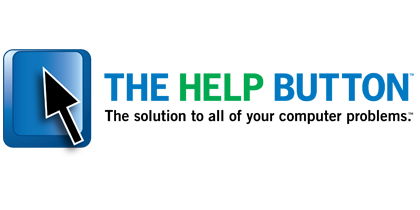 The Williams Challenge is a not-for-profit organization dedicated to providing educational assistance to aspiring low-income students. The goal of our scholarship fund is to continually build our community through providing opportunities to our youth and adults alike. We all deserve the opportunity to be productive citizens. Through our foundation, we are making an effort to build a brighter future for deserving young people. Since 2007, we have been awarding scholarships to one female and one male high school senior each year in Summit County, Ohio. The recipients are high acheivers both in the classroom and in the community. Our scholarships have allowed the recipients to continue their education at some of the major universities throughout the country. We take great pride in knowing that we have contributed to the building of a legacy not only for these young people, but for their families as well. We hope that through our efforts not only are these individuals able to be empowered and uplifted, but that they bring that same spirit of giving to their families and communities. The gift of giving extends far beyond those who give and receive. It is a rewarding experience for those who give, and a learning experience that we can build upon for those who receive. The spirit of giving allows us to touch those who may be less fortunate financially, but simply need an opportunity to shine. However, it doesn't stop there. We believe that through our charitable organization we can build a community (reestablish the philosophy) where the sum is greater than any one part. Through charitable giving, the community benefits as much as the individual. The individual receives the gift, but the community begins to build the spirit of what it means to help one another. The right individual understands that the gift that they received helped them reach goals that were otherwise out of reach. In turn, the philosophy is that they will then give more down the line when they've established themselves. Let us embark on this journey together - each one, teach one. College Graduates The percentage of African Americans 25 and older who had a bachelor's degree or higher in 2011. Reading Levels Only 14% of African American eighth graders score at or above the proficient level. IncarcerationThe majority of the 2.3 million people incarcerated in U.S. prisons and jails are people of color. Average Income The annual median income of black households in 2011, a decline of 2.7 percent from 2010. Williams Challenge sincerely thanks all supporters who have helped us realize our mission to area youth. 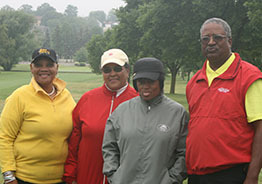 Your support has helped provide scholarships through the Akron Urban League. Our mission is to help offset college expenses and make a positive difference in the lives of youth through financial assistance, promoting excellence in education, sports, community services, and spirituality. 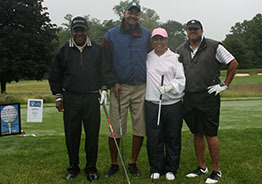 Williams Challenge scholarships are funded primarily through its golf fundraiser held each year in June. 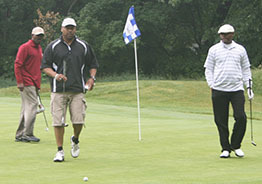 We invite you to participate in this annual event which is fun for every skill level of golf. 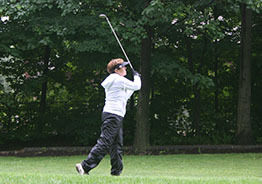 Other funding sources include private and corporate donations, and hole sponsorship. 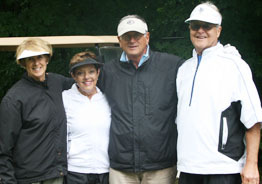 Join us on June 7, 2019 for the annual golf tournament. Register today for the 2019 tournament. Registration runs until May 31, 2019. Be sure to get your group together or come alone and we'll put you into a group. 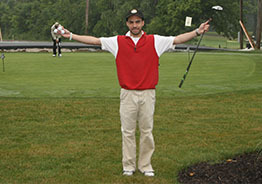 Get ready for a great day of golf and fun! Consistency is what golf is all about. 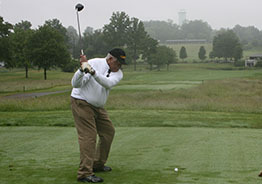 A participant takes his tee shot. Getting it there one shot at a time. On the green and getting close. Ready and willing to give it their best. Trying to get it on the green. Help light the road to success for someone today! We encourage you to consider making a donation today. The income disparity has reached new porportions and one of the best ways to combat that discrepancy is through education of our youth. 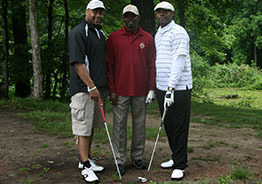 The Williams Challenge Scholarship Fund is dedicated to our youth and hope that you find us a worthy cause. Every dollar of your donation is tax deductible. We also would like for you to check with your employer to see if they have a matching funds program. Our sponsors have made a huge difference for us. We are fortunate to have both individual and corporate sponsors who commit to us each and every year. We could not continue to provide scholarships to local youth without their support. 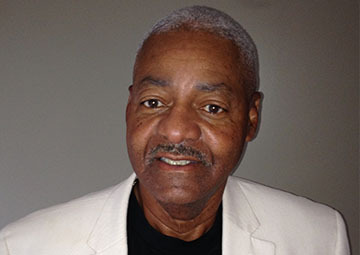 We have been fortunate to have annual commitments from individual sponsors like Rodney Neal. We also receive corporate contributions from The Help Button. 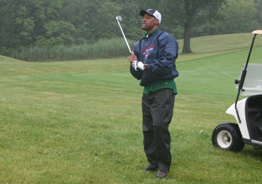 The Brookledge Golf Club again hosts the Williams Challenge in 2016. 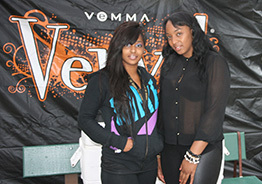 Two young ladies kept us hydrated at the Vemma Verve Energy Drink booth. We occasionally have special announcements and events that our participants and donors may want to know about. If you would like to receive our newsletter, please submit your email address today. © 2007, Williams Challenge Scholarship Fund. All Rights Reserved.